Pour the Kerrymaid Double and Kerrymaid Single into a saucepan and add the mint leaves. Leave for 5-6 minutes on a low heat to infuse the mint. 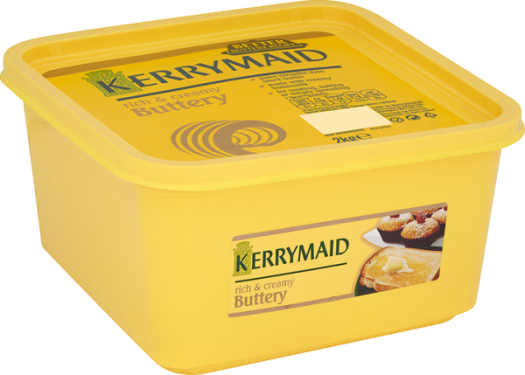 While this is heating, break the chocolate and add to a bowl with the Kerrymaid Buttery and honey. Sieve the hot Kerrymaid Double and Kerrymaid Single mix to dispose of the mint leaves and add to the chocolate, honey and Buttery mix whilst stirring until smooth. Pour the mixture into a shallow dish and chill for an hour or until set. Remove the truffle mixture from the fridge and scoop out individual portions, shape into a circle by rolling in your hands. Toss the truffle in the desired coating and place on a separate plate. Once you have done this with all of the mixture, refrigerate the truffles until firm. Once set, arrange the truffles in a box/tin and keep refrigerated. For individual portions arrange neatly on a small dish and serve.